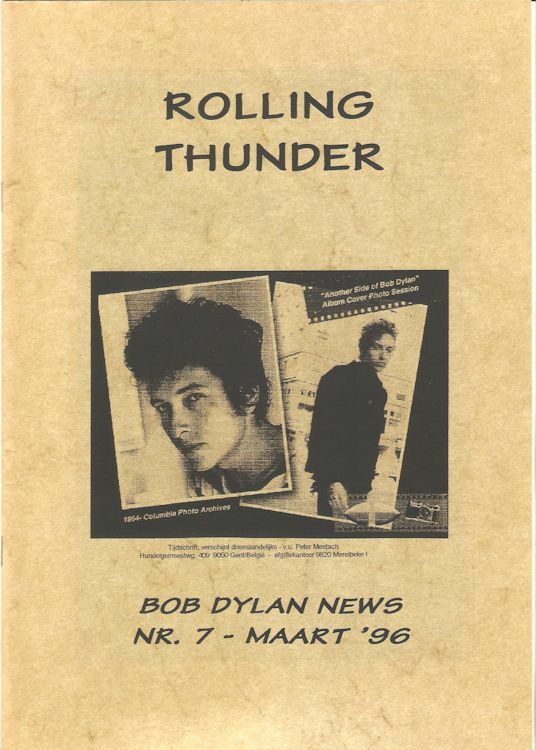 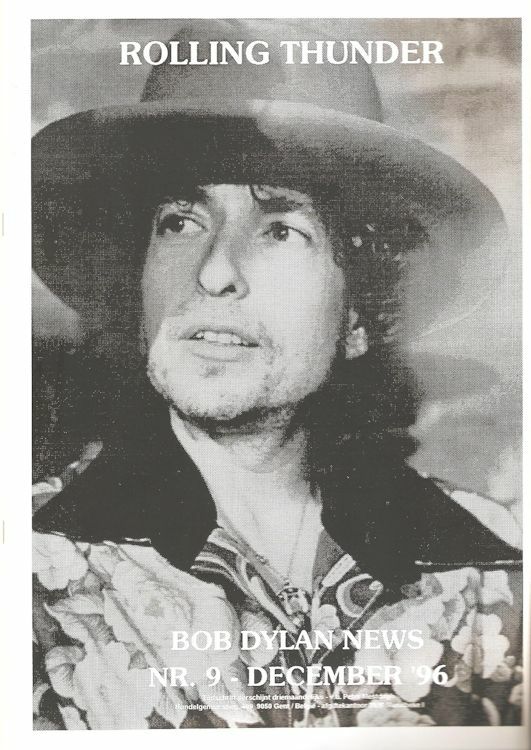 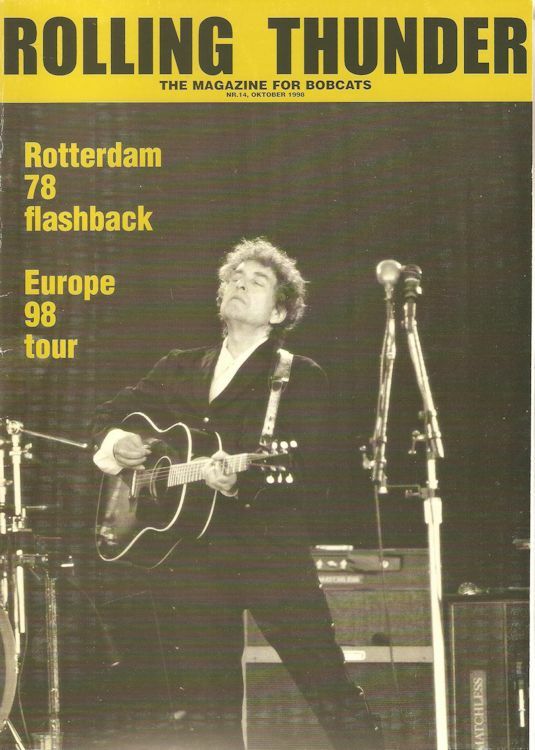 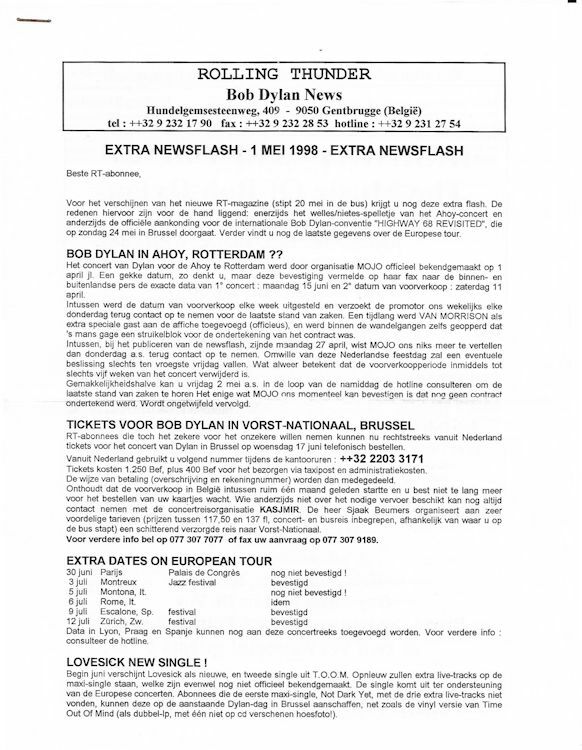 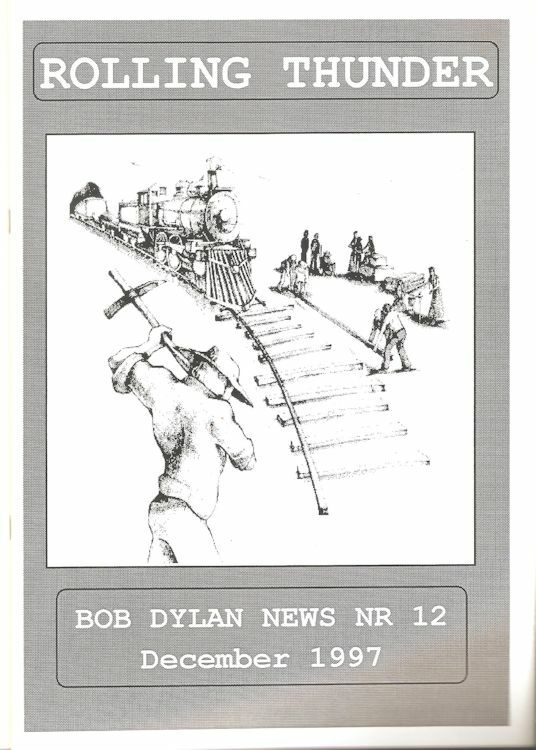 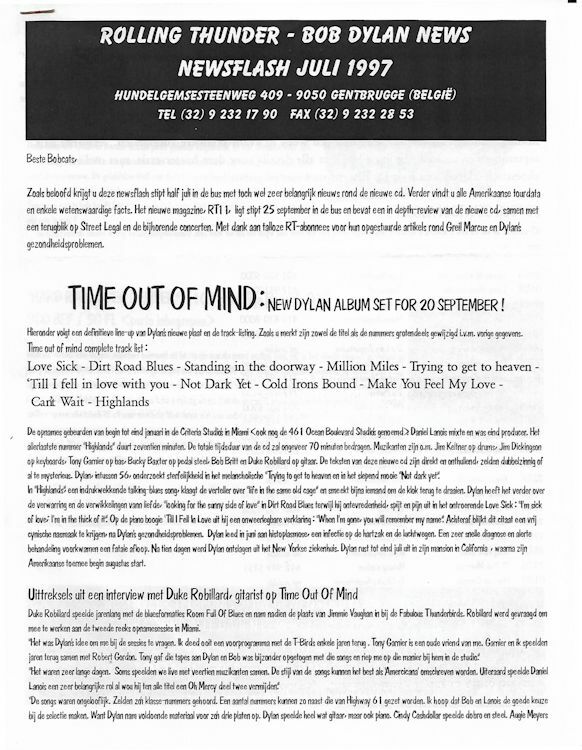 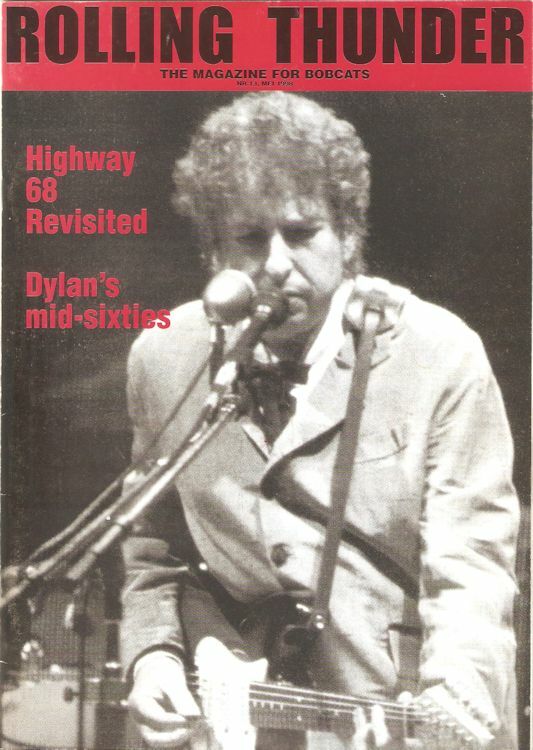 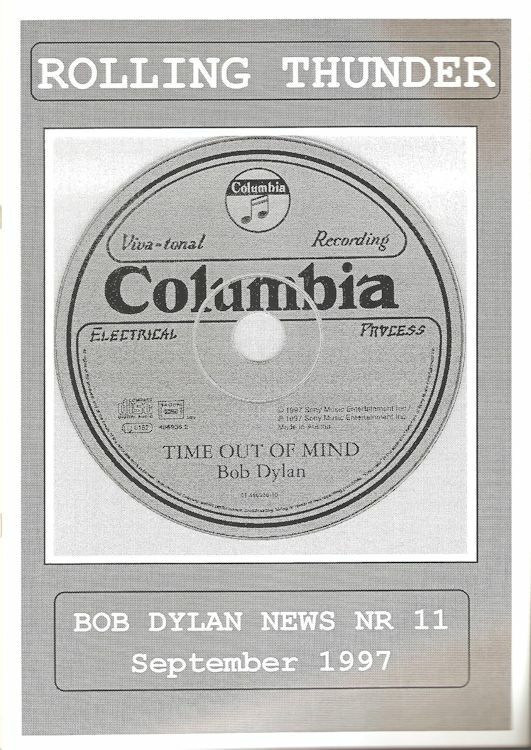 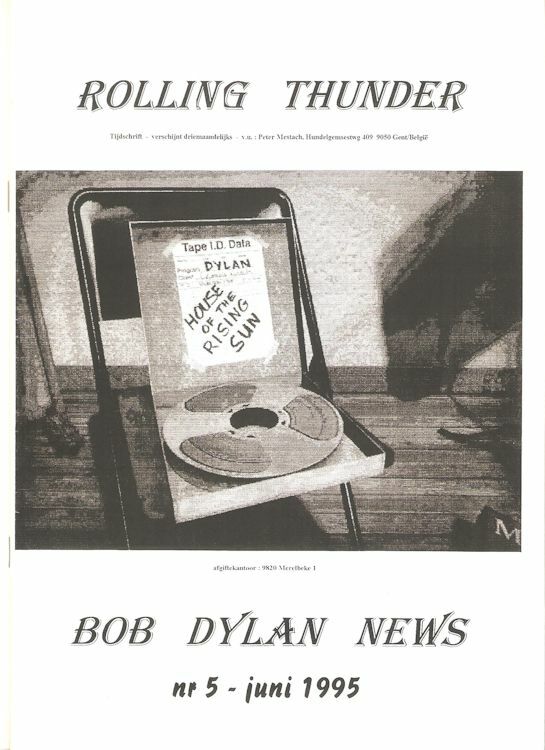 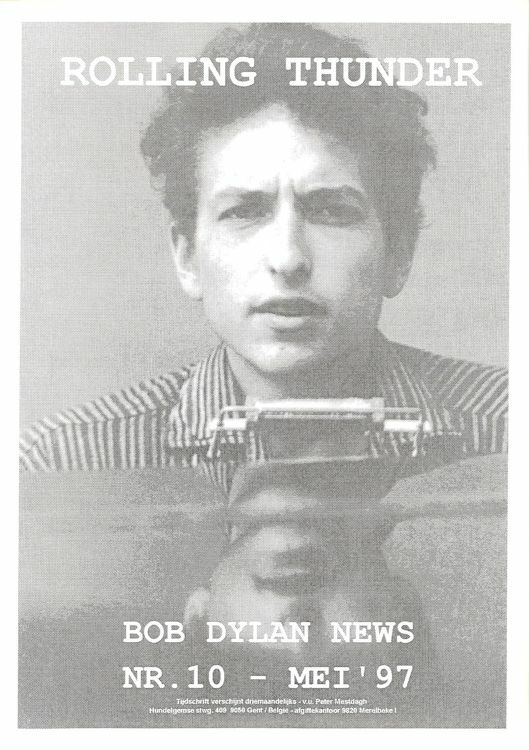 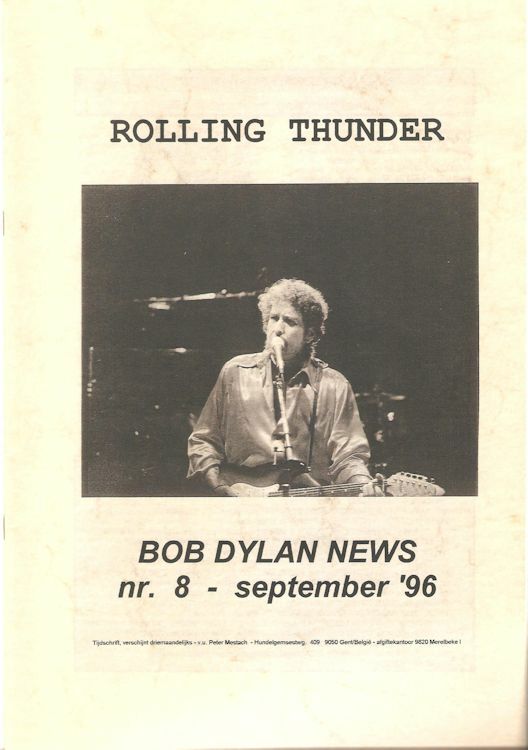 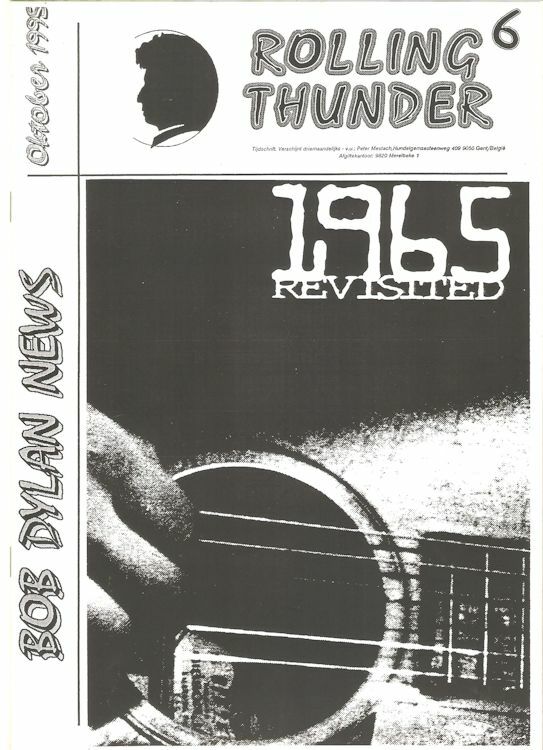 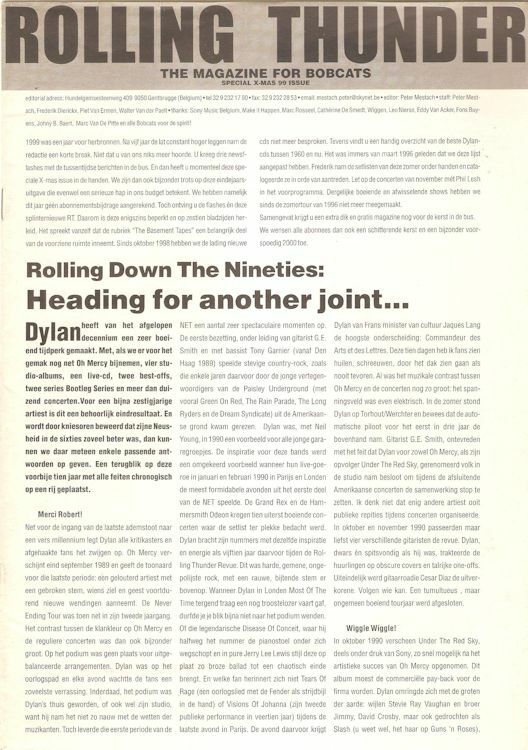 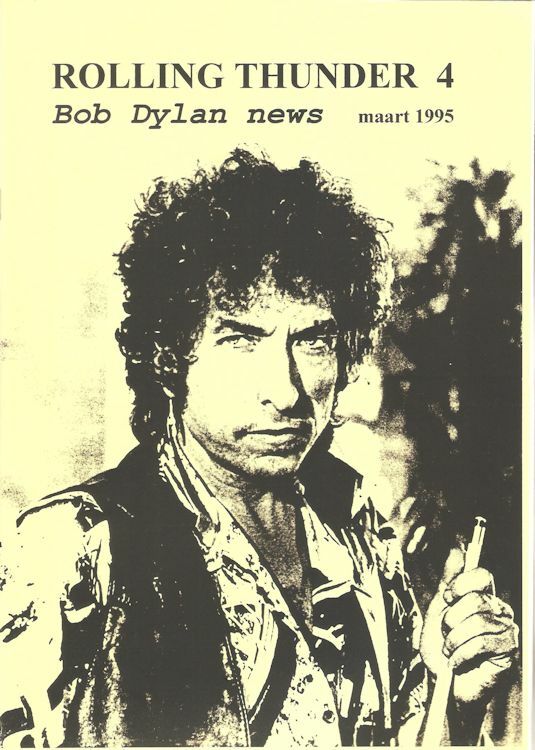 ROLLING THUNDER -BOB DYLAN NEWS, and -THE MAGAZINE FOR BOBCATS, Belgium. 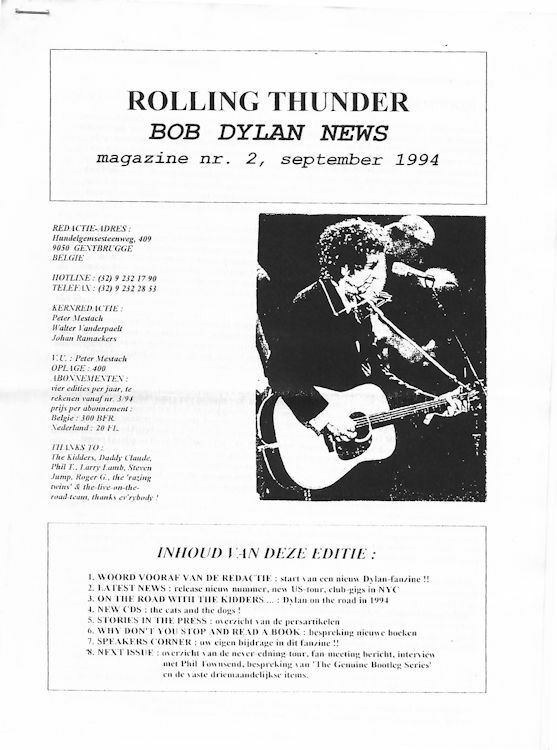 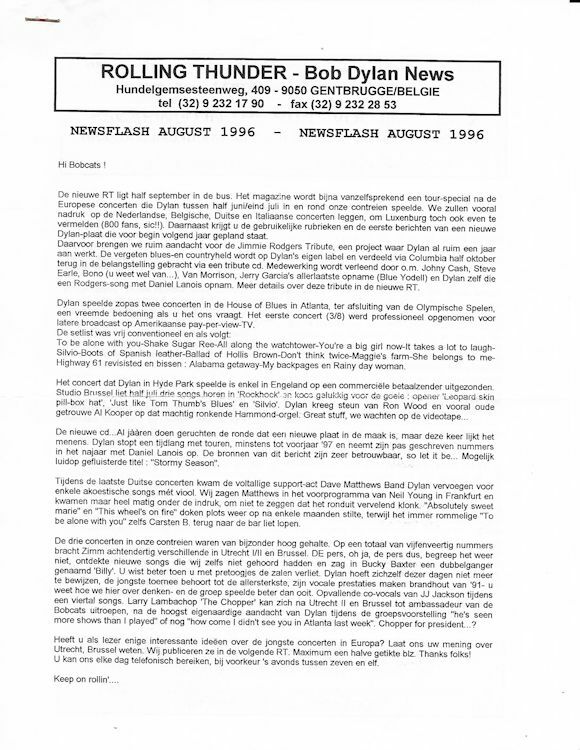 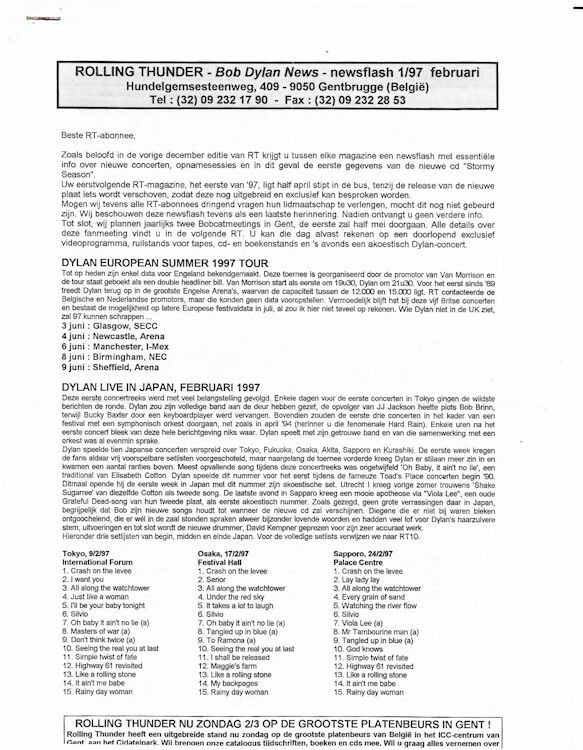 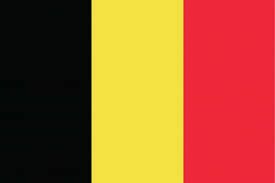 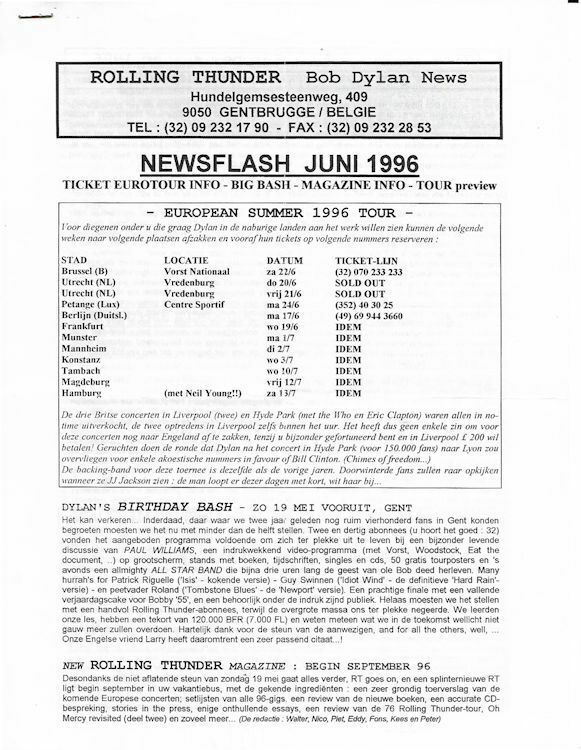 Belgian fanzine in Dutch language, editor Peter Mestach. 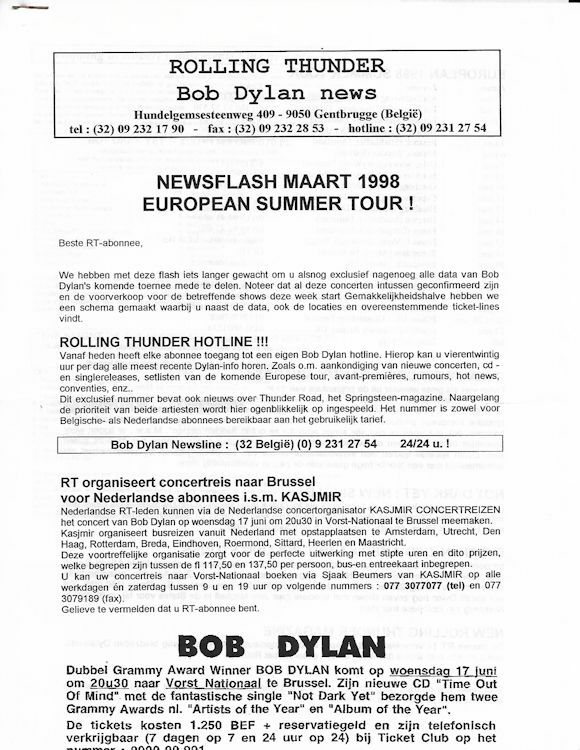 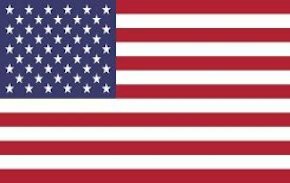 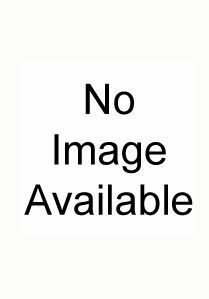 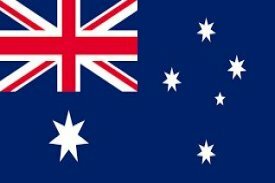 It started with issue # 2 in September 1994 and ended with issue # 14 in October 1998. 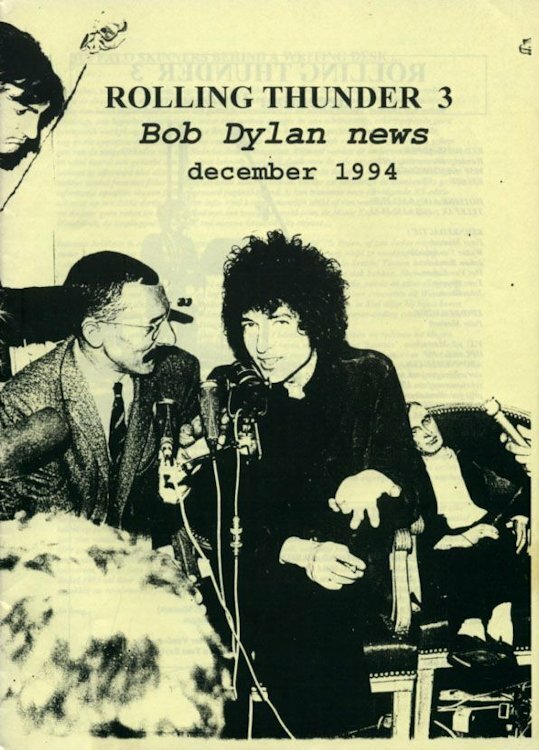 (#1 was just an information on the start of the fanzine and offering subscriptions). 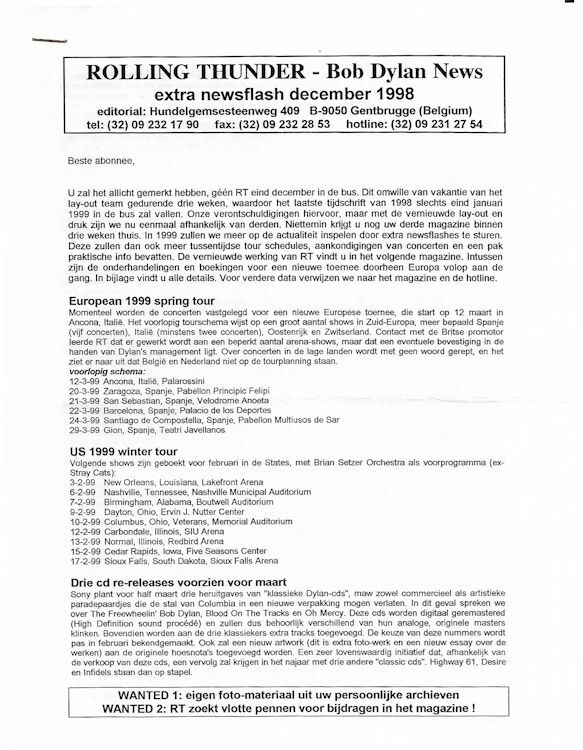 There were 14 issues and a Xmas Special (1999). 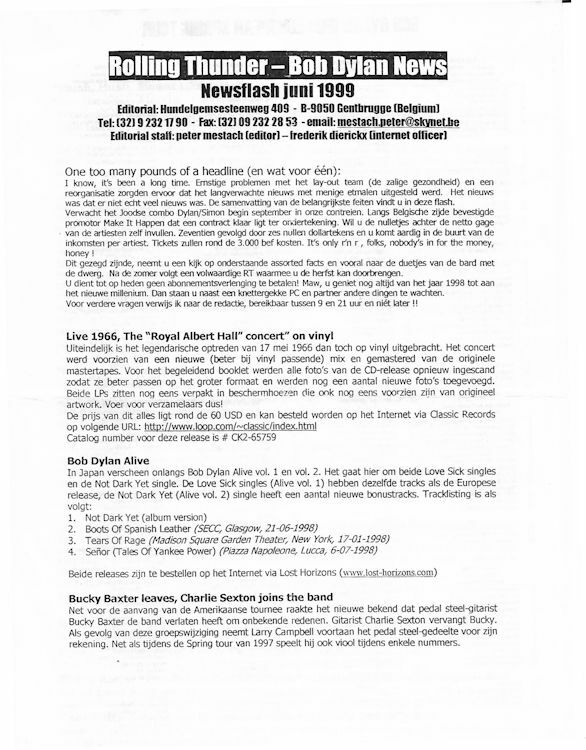 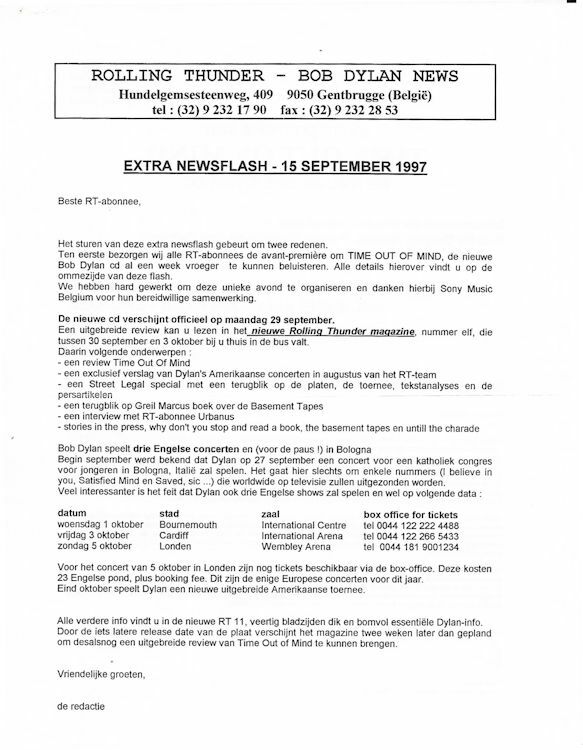 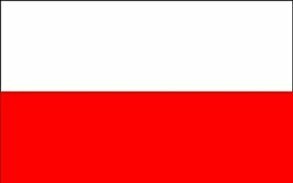 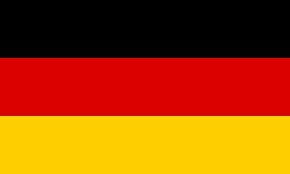 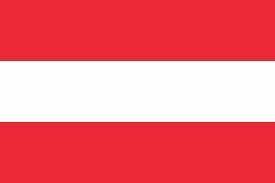 A Newsflash was also published on irregular basis in between the regular fanzines. 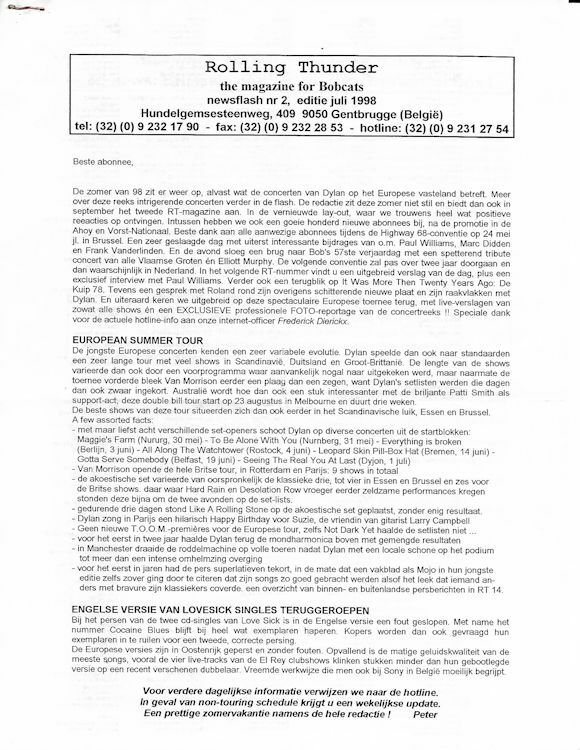 Thank you to Wil Gielen and Peter Oudejans for the scans and information.